WR 630 (Collector Walter Rausch) Sud Cinti, Chuquisaca, Bolivia, 3600m. Origin and Habitat: Bolivia, Chuquisaca, Sud Cinti at Yuquina near Culpina. Altitude range: 3,600 metres above sea level. 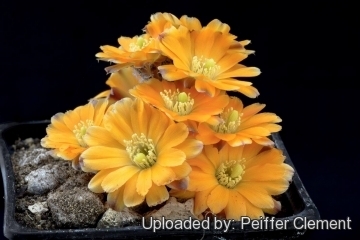 Description: Rebutia minor (Rausch) Mosti, better known as Rebutia diersiana var. minor Rausch, is one of the many geographical or morphological form of Rebutia pygmaea. 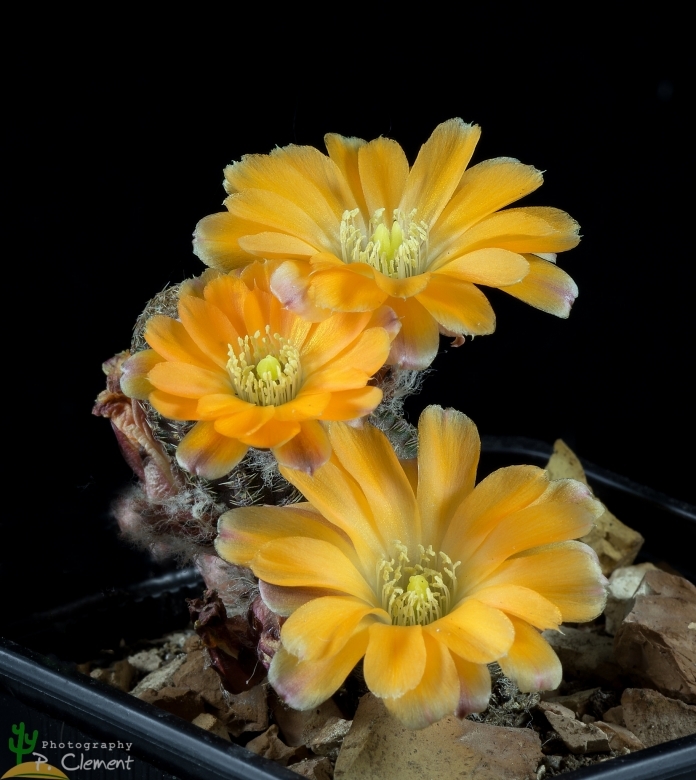 Many variant of Rebutia pygmaea was early classified as different independent species, but nowadays all this plants are considered part of a multiform species, where each form is linked to others by populations of plants with intermediate characteristics. 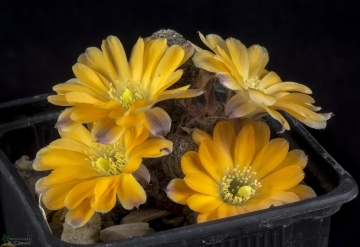 Rebutia minor is the smallest known form, distinguished by very dark coloured stems, with dark areoles, and contrasted with the yellow to orange yellow flowers. Derivation of specifis name: “minor” Latin, smaller, lesser. In reference to the very small body size of the this plant. Stems: Less than 2 cm tall, and to 1.3 cm wide (a little taller in cultivation), sparingly clustering, greyish-green to purple-brown. R. minor has the smallest stem in the whole R. pygmaea group. Areoles: Elongate with short dark brown wool. Spines: 9-11 all radial, dark violet-brown, later grey, lying flat to the stem. Flowers: Pale yellow to orange yellow sometimes reddish in the outside. Cultivation and Propagation: Rebutia minima is a summer grower species that is easy to cultivate and recommended for beginners. The whole Rebutia pygmaea complex has delightful flowers and the plants remain compact, and clumps can easily be managed by division. Another advantage is that the plants are very cold hardy in Winter if kept dry.